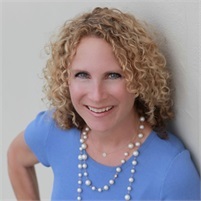 Gayle Sheeder | Farmer & Betts, Inc.
Gayle Sheeder is a Regional Vice President of the Southeast Region with Farmer & Betts Pension Consultants, a fee-based third-party pension administration and consulting firm that does not offer investments or insurance. Gayle has worked in the pension consulting industry for over 28 years. She began her career in 1987 after earning her degree in Information Systems with a minor in Computer Science from Florida State University. After college, Gayle started out in the computer department of a third party administrator in Miami. She realized she didn’t enjoy working behind a computer, so she was thrilled to get an opportunity to work in pension administration. Over the next several years, she learned everything about retirement planning from the ground up and fell in love with the industry. Gayle has worked within several unique roles in the pension administration industry, including plan administration, managing software programs for TPAs, designing proposal systems, and business development. Over her career, she realized she most enjoyed business development. It’s her goal to help her clients get the best possible plan designed for their companies. Gayle loves to meet new people, correct deficient plan designs, and help get a company on track for success. Her specialty is in identifying issues where plans could perform better and improving plan designs. Gayle joined Farmer & Betts because of their excellent reputation, outstanding resources, and client support. They offer industry-leading pension administration services, as well as an ERISA attorney on staff and an experienced compliance department. The culture, energy, and philosophy are what drew her to the team and she looks forward to bringing those benefits to her clients. Financial advisors and CPAs work with Gayle because she is willing to listen first before she begins designing a solution to meet their needs. Her technical expertise and experience in the industry allow her to create pension plans to fit a variety of goals and challenges. Gayle lives in Miami with her husband and teenage son. Outside of the office, she is a member of a line dance performance group. She loves food and enjoys traveling. Gayle volunteers at her son’s school, and has served as the school’s PTA President. She also donates her time supporting her son’s baseball program.